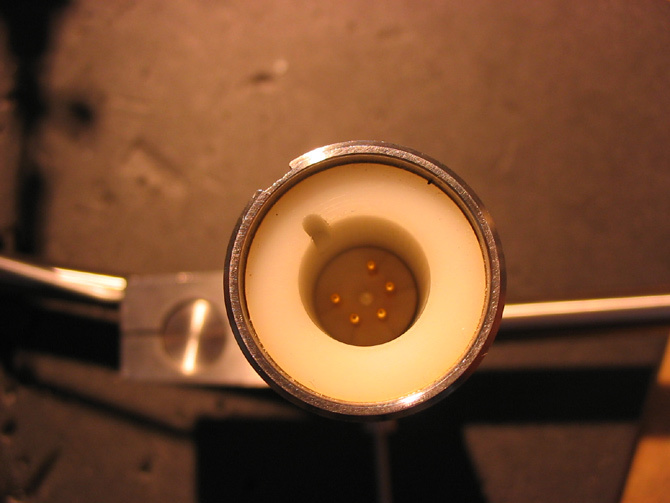 Here we have a pictured report about rewiring a Fidelity Research FR64tonearm. The FR64 is one of the most popular tonearms for low compliance cartridges. The bearings are of good quality, but they might get noisy over time. 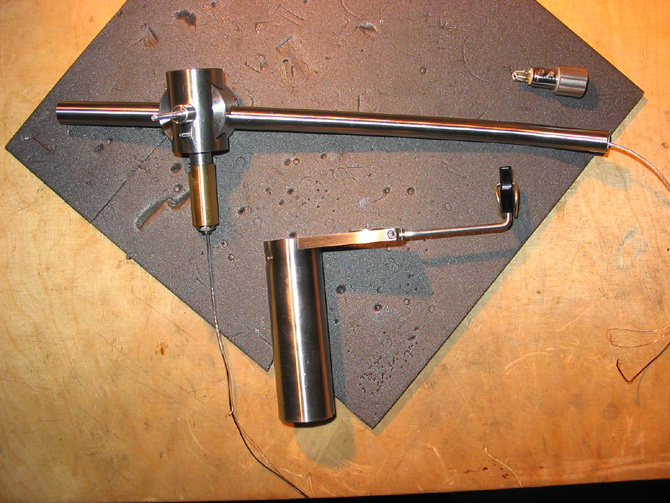 This tonearm had a broken cable. 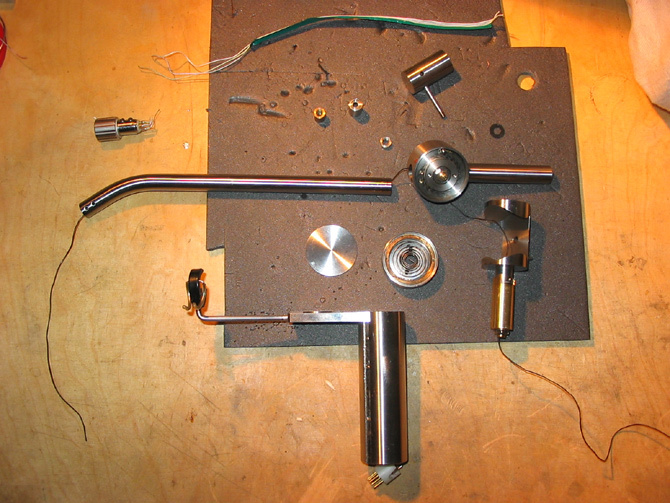 So, I have started to overhaul this tonearm from the ground up. 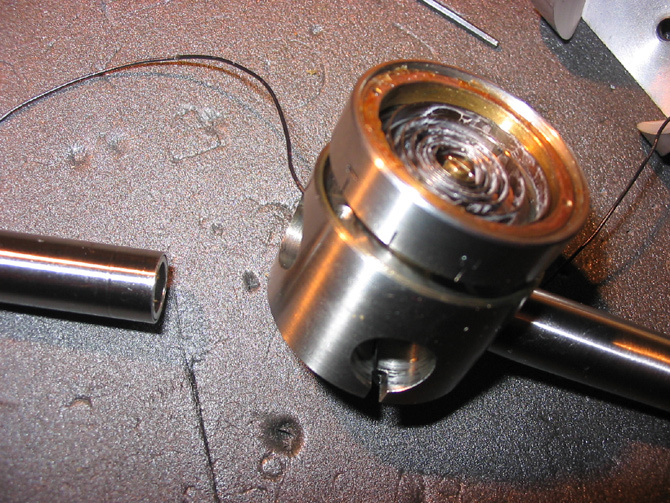 The arm tube is a seperate part, hold with some glue and fixed with tiny screws. The trackingforce is dynamically created with the help of a spring. 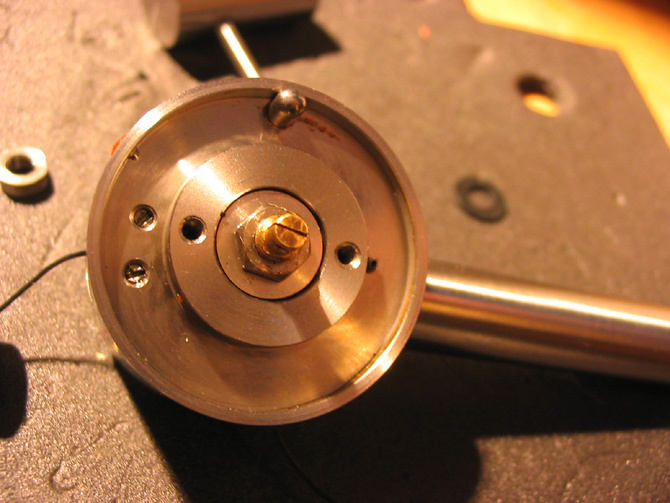 The assembly is attached at the side of the tonearm. 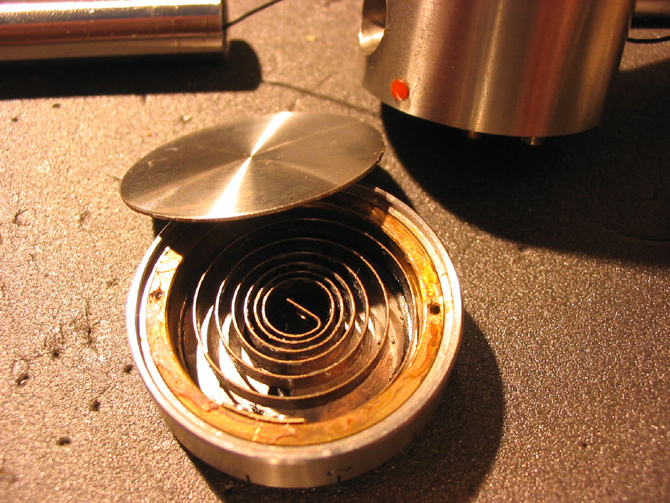 This massive spring has also a strong resonance. I have tried the arm balanced statically and found the results to be more detailed and free. With the springload attached the sound muddled up a little. 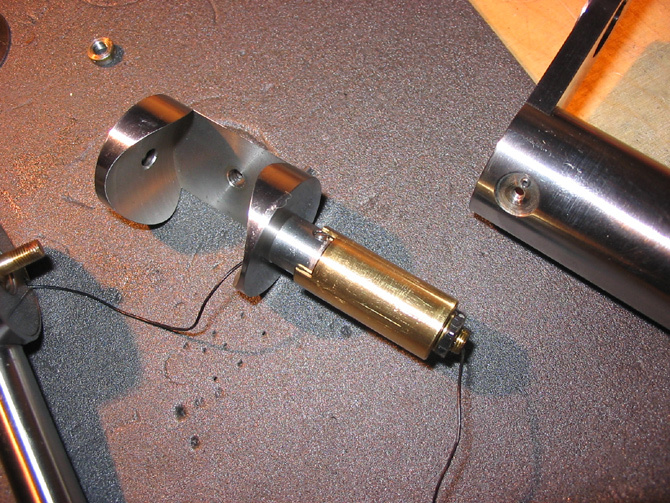 The mighty arm shaft is carrying the actual small part that holds the bearing for horizontal movement. Finally, I have put in a new tonearm plug.